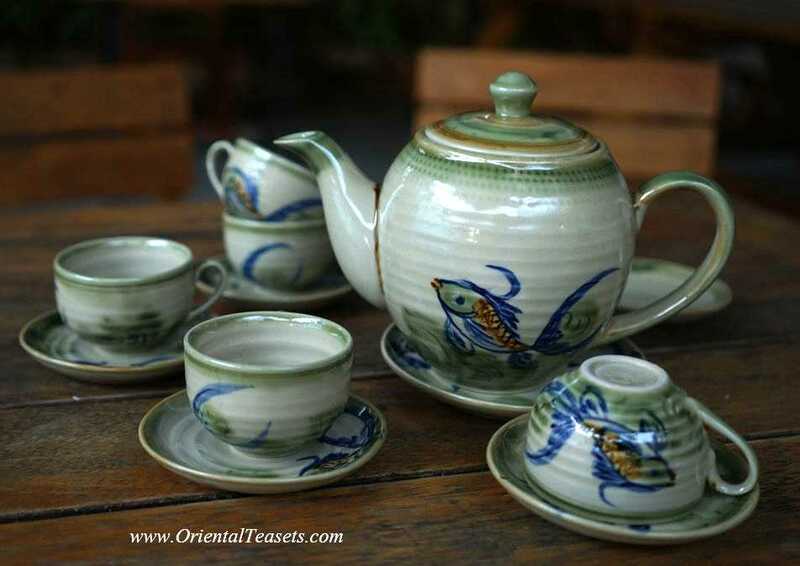 Beautiful Bat Trang tea set with fish design hand painted. 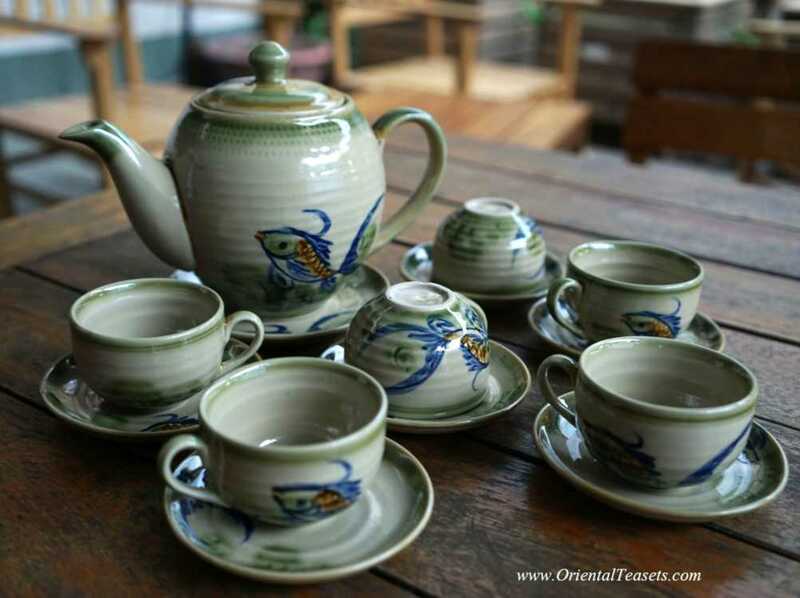 Each set includes one tea pot and a saucer, six cups and six saucers. 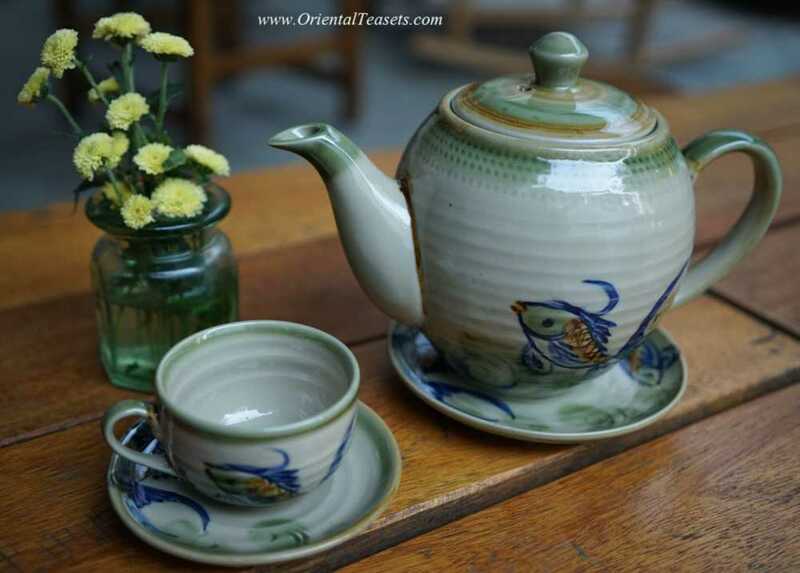 Tea pot can hold about four cups of water.